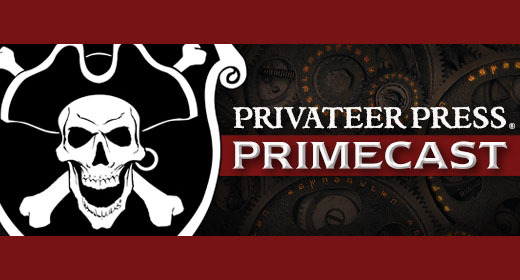 It’s time for another Privateer Primecast! Join hosts Will Hungerford and Will Shick as they talk about what’s new with Privateer Press. Hosts Will Shick and Will Hungerford return with tidings of April’s new releases. Shick sits with Writing Manager Matt Goetz and Senior Writer Douglas Seacat to discuss the Greylords Covenant and speculate on Khadoran politics. The Struggle of Wills (Hungerford, Oz, and Pagani) continues the Grymkin conversation, this time covering solos and their development. Convention Manager JR Godwin goes over what to expect at Lock & Load GameFest 2017 (tickets available now!). And we wrap up with our hosts talking about Steamroller in CID before signing off until Episode 44.